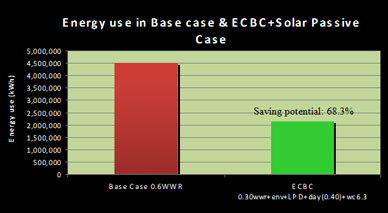 The LPD considered is lower than ECBC recommended. 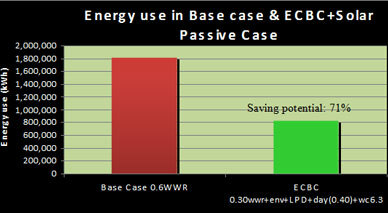 The Life Cycle Cost Analysis (LCC) of this high performing design strategies was carried out under this project. The LCC of this case for a day-use building considering 25 yrs is 1046Million Rs. The Pay back is found out to be as 1year. The LCC of this case for a 24-hr-use building considering 25 yrs is 2553 Million Rs. The Pay back is found out to be as less than 1year.